Serena Alexandra Collins is a Family Law and Residential Real Estate/Title Attorney. Serena received her B.A. from Florida State University in 2013 and graduated with honors from St. Thomas University School of Law in Miami, Florida in 2016. Serena has been working with TBS Law P.A. as an Associate Attorney, assisting clients in the sale/purchase transactions. In addition to Real Estate matters, Serena also handles Family Law issues, including but not limited to Paternity, Divorce, Enforcement, Modification, and Relocation. Serena has always been passionate about law, which has inspired her drive and dedication while practicing. 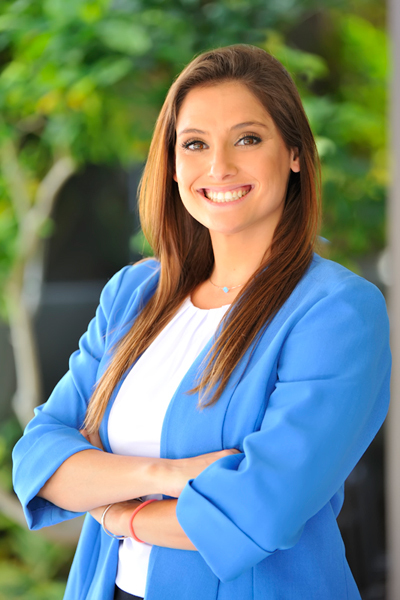 Prior to attending law school, Serena worked closely with Representatives in the Florida Capitol during session, worked at multiple law firms, and interned with Magistrate Barry Seltzer, and Judge Towbin-Singer, Seventeenth Judicial Circuit Court. Serena is a member of the Florida Bar, South Palm Beach County Bar Association, and South Palm Beach County FAWL. She is a member of the Mentorship Committee in the South Palm Beach County Bar Association, and is an Event Coordinator for the South Palm Beach County FAWL. Serena is an active member of her community and enjoys being able to give back to the town in which she lives.